The original NevrDull Magic Wadding Polish. 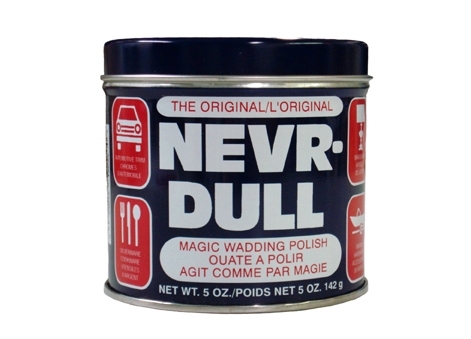 Completely safe for all metals, NevrDull is a specially treated cotton wadding cloth that is fast and easy to use. Cleans all metals with nothing to shake up, nothing to spill. NevrDull is distributed in Canada by NLS Products.